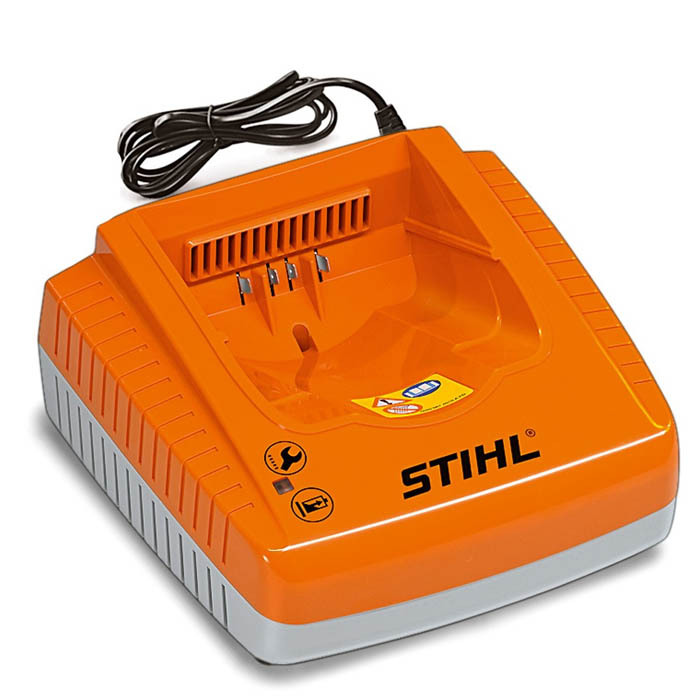 STIHL EC-Motor - The STIHL brushless electric motor (EC) is very energy efficient and practically maintenance free. 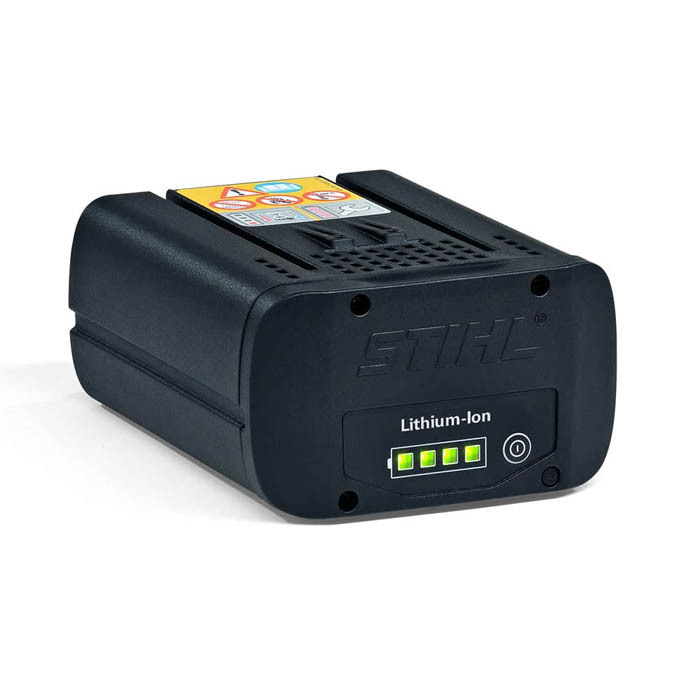 Thanks to its outstanding efficiency, the battery power is directly translated into impressive performance. During operation, the electronically controlled EC motor permanently monitors the load and adjusts the engine accordingly. 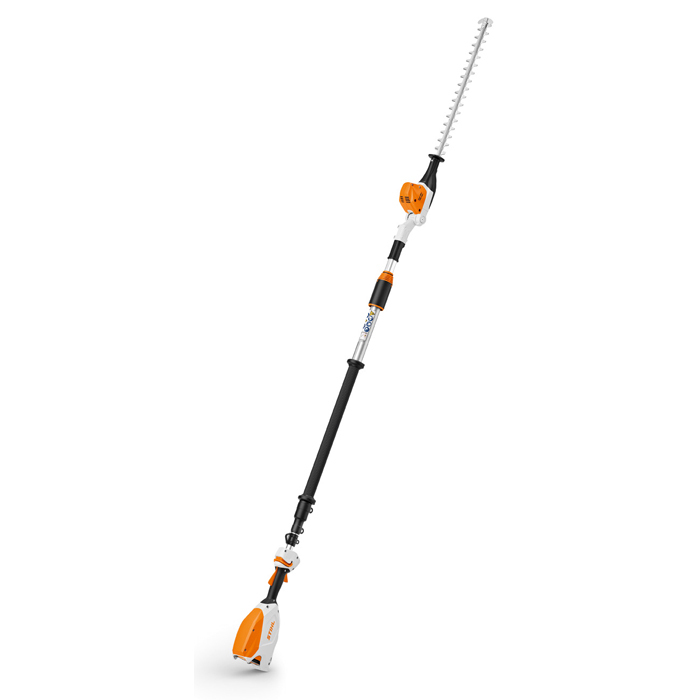 Telescopic shaft with quick release- The handy telescopic shaft can be extended from 260cm to 330cm. Simple shaft length adjustments are made using the quick release mechanism. Easy and quick adjustment - The cutter bar can be adjusted 115 ° to suit the application, and can be folded down to a length of just 125 cm to easily fit into a car. Double sided blade - The double sided blade allows for easy and safe vertical and horizontal hedge trimming. Tip protector - Protects the tip of the hedge trimmer's cutting blade from wear and tear while working in contact with the ground. Blade guard - For protection of the blade and to allow safe, easy transport this cordless long reach hedge trimmer is equipped with a blade guard.